Abstract We propose and test a psychological theory of causal structure learning based on local computations. Local computations simplify complex learning problems by using cues available on individual trials to update a single causal structure hypothesis. Structural inferences from local computations make minimal demands on memory, require relatively small amounts of data and need not respect normative prescriptions as inferences that are principled locally may violate those principles when combined. Over a series of three experiments we find (a) systematic inferences from small amounts of data; (b) systematic inference of extraneous causal links; (c) that the order of data presentation influences inferences; and (d) error reduction through pre-training. Without pre-training, a model based on local computations fits our data better than a Bayesian structural inference model. The data suggest that local computations serve as a heuristic for learning causal structure. probability theory. This gives the framework motivation on the assumption that people’s causal beliefs about events are to some extent adapted to the probabilities of those events. Problem of complexity These approaches all agree that covariation is the primary input to the learning process, but they are unlikely to offer plausible models of human learning if calculating covariation is computationally challenging. Learning the strength of relation from a single putative cause to a given effect can be accomplished with relatively simple learning algorithms, though even in such cases people’s judgments are quite variable, especially when data is presented serially (e.g. Buehner, Cheng & Clifford, 2003). As the problem is generalized to learning causal structure and strength with more than two variables, the computations required become psychologically implausible and even intractable. For example, learning the structure of a two variable system necessitates considering three possible acyclic structures. Adding just one more node increases that space of possibilities to 25. Causal systems in the world have many more variables than that. Consider learning how a bicycle works or how to play a video game. The problem of complexity is often under-appreciated because learning models are usually tested in contingency learning paradigms where the task is to determine the strength of a single causal link between a pre-specified cause and effect. However, several recent experiments have tested people’s ability to make somewhat more complex causal structure inferences from observations of covariation. These experiments have varied in whether causal roles are pre-defined, in the number of variables in the system, in the mode of data presentation, and in the cover stories. Yet a common finding is that given just observational data, participants’ inferences are strikingly suboptimal. in their responses. Using the best fitting parameters, maximization’s predictions were better than sampling’s, and this difference was marginally significant (Z = 1.7, p = .08). The models were also fit to individuals using the overall best fitting parameters, and those fits are shown in Figure 6. For simplicity the results of the sampling Bayesian model are not shown as they were lower than maximization. The heuristic model predicts a high percentage of most participants’ responses. Out of the 16 participants, 11 were fit better by the heuristic model and all of those differences were significant. Five were fit better by the Bayesian model because those participants sometimes inferred chain models rather than confound models. However none of those differences were significant. Discussion In Experiment 1 we tested people’s causal structure inferences given observations of interventions on chain and common cause systems. The results provide strong support for local computations. In the case of common cause models where the implicit temporal cue provided by the intervention is a reliable guide to structure, participants’ inferences were close to optimal. In the case of chains, participants systematically inferred an extraneous link from the root variable to its indirect effect, the terminal variable, given sufficient data to recover the true structure. Given insufficient data, participants generally favored the most parsimonious structure consistent with their observations, as indicated by the high correspondence with the heuristic model. The overall pattern of results is predicted by the heuristic model, which uses the implicit temporal cue from each observation as evidence for a local causal relation and builds up causal structure piecemeal over the course of observations. It is inconsistent with the predictions of a Bayesian model representing an optimal statistical learner. an ‘accumulator.’ A learner of this type uses local computations to determine a causal structure hypothesis after each intervention and then engages in an assessment process whereby the current data are compared to the current hypothesis. The hypothesis may then be revised if the data are sufficiently surprising or inconsistent with the current hypothesis. In the case of the late presentation of the diagnostic intervention, early local computations would lead to a hypothesis of a confound model. The diagnostic intervention may cause the learner to reassess the hypothesis and revise it to a chain model achieving greater consistency with the data. In the case of early presentation, the diagnostic intervention is consistent with the hypothesis derived from local computations, a model with one link from the root to intermediate variable, and no revision is necessary. The fourth case is a primacy effect where early presentation increases chain inferences. This effect is consistent with a ‘hypothesis tester.’ Such a learner is aware of which variables could be active given his or her hypothesis. On a given intervention the learner looks for active variables that are not predicted by the model and adds links according to local computations to account for any unpredicted variables. In such a case early presentation of an intervention on A that activates B and an intervention on B that activates C leads to a hypothesized chain structure via local computations. The subsequent intervention on A that activates all the variables is predicted by the chain hypothesis and no links are added, resulting in a chain inference. When the diagnostic intervention is presented late, the extraneous link from A to C is asserted after the first intervention, when all variables are active. The accumulator is liberal in asserting links but can then remove them if necessary, while the hypothesis tester is conservative in asserting links in the first place. consisted of two three-variable models: a chain, B causes A causes C, followed by a common cause, B causes A and C. The practice trials were the same as experimental trials from Experiment 1 except that there was a slight temporal lag to make the inference easier and the data were not randomly generated. Rather the interventions and activated variables were pre-determined and always the same. Participants repeated the practice trials until they inferred the correct structure. After completing the two practice trials, the procedure was identical to Experiment 1. Results Model Selection. Two participants in the Handout group responded at random. Their data are not included in subsequent analyses. As in Experiments 1 and 2 there were no differences between models of the same type (Handout group chains: χ2(4) = 6.6, p = .15, Handout group common causes: χ2(4) = 2.8, p = .24, Practice group chains: χ2(4) = 1.7, p = .42, Practice group common causes: χ2(4) = 1.2, p = .55). We therefore collapsed across the two chain and common cause models. Figure 11 shows the distribution of responses for common cause and chain trials for the Practice and Handout groups. Experiment 1 results are also shown for comparison. Chi-square goodness-of-fit tests showed that all four distributions were significantly different from chance. Both types of instruction increased the likelihood of correctly learning chain models, with the practice manipulation having a larger effect than the handout manipulation. The distribution of responses to chain trials was compared across groups using a chi-square test of independence that yielded a significant difference between responses in the Practice and Handout groups (χ2(4) = 34.9, p = 0). Responses to common cause trials were not significantly different across groups (χ2(4) = 7.8, p = .10). framework because, due to the cover stories used in those experiments, participants knew which variable represented the ultimate effect in the causal system. Thus, on each trial in which the effect occurred, any other active variable was identified as a cause of that effect. As in our experiments, this inference was faulty, implying independence between the two causes and direct relations between the causes and the ultimate effect. The local computations framework is also consistent with other causal learning phenomena. For instance, in our experiments participants tended to infer extraneous causal relations on the basis of local cues. Previous research with pigeons (Skinner, 1948) and humans (Ono, 1987) has shown learning of spurious relations on the basis of temporally contiguous actions and outcomes, even when the outcomes are independent of the actions, a type of learning referred to as superstitious “superstitious.” For example, Ono’s participants tended to repeat an idiosyncratic series of actions that immediately preceded reward, even when rewards were delivered at a constant rate that was independent of the actions. The local computations account of this is that participants used the local temporal cues to learn a relation between the actions and reward while failing to recognize the independence of the two. Inferring independence would have required tracking and aggregating covariation information over multiple trials. Another aspect of learning problematic for covariation-based accounts but that falls naturally out of local computations is single-trial learning (Guthrie, 1946). Animals and humans often infer a causal relation on the basis of a single observation of two temporally contiguous events. This is inconsistent with the idea that causal relations are learned by estimating causal strength over many training trials. Rather, causal relations can be learned from even a single observation. Conclusions The mix of individual strategies observed in Experiments 1 and 2 and Experiment 3’s finding that chain hypotheses are more likely to be considered after pre-training on chains shows that local processing can be overcome by consideration of higher-order causal structures. This suggests that (at least) two processes are involved in causal learning, a local heuristic process and a more sophisticated one that is able to consider how well global hypotheses fit the data. Learning causal structure locally is an excellent way to combine multiple sources of knowledge. Some causal relations we learn from doing, others we learn from observation, still others we learn from instruction. Each causal relation can be difficult to learn, especially when it reflects a complex mechanism. Learning relations independently allows us to focus on specific mechanisms while ignoring others, at least temporarily. This may be the only way to learn causal systems involving dozens of variables or more, like social systems, car engines, or word processors. The unfortunate consequence of using a heuristic that minimizes memory and computational demands is that it leads to systematic error. Errors may be exceptional when dealing with an expert but in this case they very much prove the rule: One can hardly deny the presence of systematic error when people, even experts, are dealing with social systems, car engines, or word processors. Acknowledgments We thank Tom Griffiths, Dave Sobel, Adam Darlow, Ju-Hwa Park, and John Santini for advice on this project, and two anonymous reviewers for comments on earlier drafts. Jonathan Bogard, Jessica Greenbaum and Anna Millman helped with data collection. The work was supported by NSF award 0518147 and by a Brown University Graduate Fellowship. References Ahn, W. & Kalish, C. (2000). The role of covariation vs. mechanism information in causal attribution. In R. Wilson, & F. Keil (Eds.) Cognition and explanation, Cambridge, MA: MIT Press. Ahn, W. & Dennis, M. (2000). Induction of causal chains. Proceedings of the Twentysecond Annual Conference of the Cognitive Science Society, Mahwah, NJ: Earlbaum. Allan, L. G. & Jenkins, H. M. (1980). The judgment of contingency and the nature of the response alternatives. Canadian Journal of Psychology, 34, 1-11. Anderson, J. R. (1990). The adaptive character of thought, Mahwah, NJ: Erlbaum. Blaisdell, A. P., Sawa, K., Leising, K. J. & Waldmann, M. R. (2006). Causal reasoning in rats. Science, 311, 1020-1022. Buehner, M. J., Cheng, P. W., & Clifford, D. (2003). From covariaton to causation: A test of the assumption of causal power. Journal of Experimental Psychology: Learning, Memory, and Cognition, 29 (6), 1119-1140. Cheng, P. W. (1997). From covariation to causation: A causal power theory. Psychological Review, 104, 367–405. Collins D. J. & Shanks D. R. (2002). Momentary and integrative response strategies in causal judgment. Memory and cognition, 7 (1), 1138-1147. Colwill R. C. & Rescorla, R. A. (1986). Associative structures underlying instrumental learning. In G. H. Bower (Ed. ), The psychology of learning and motivation Vol. 20 (pp. 55-104). New York: Academic Press. Danks, D. (2003). Equilibria of the Rescorla–Wagner model. 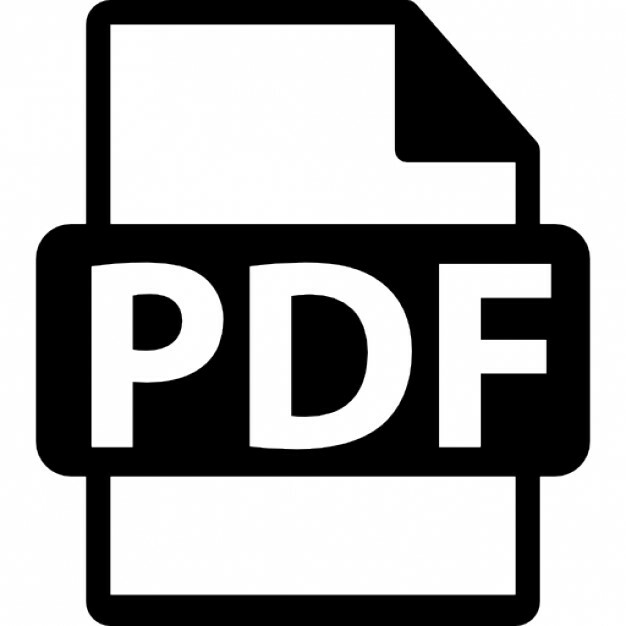 Journal of Mathematical Psychology, 47, 109–121. Dennis, M. J., & Ahn, W. (2001). Primacy in causal strength judgments. Memory & Cognition, 29, 152-164. Einhorn, H. J., & Hogarth, R. M. (1986). Judging probable cause. Psychological Bulletin, 99, 3-19. Glymour, C. (2001). The mind’s arrows: Bayes nets and graphical causal models in psychology. Cambridge, MA: MIT Press. Gopnik, A., Glymour, C., Sobel, D. M., Schulz, L. E., Kushir, T., & Danks, D. (2004). A Theory of causal learning in children: Causal maps and Bayes nets. Psychological Review, 111 (1), 3-32. Griffiths, T. L., & Tenenbaum, J. B. (2005). Structure and strength in causal induction. Cognitive Psychology, 51, 354-384. Guthrie, E. R. & Horton, G. P. (1946). Cats in a puzzle box. New York: Rinehart and Co. Hagmayer, Y., & Waldmann, M. R. (2000). Simulating causal models: The way to structural sensitivity. Proceedings of the Twenty-second Annual Conference of the Cognitive Science Society, Mahwah, NJ: Earlbaum. Hagmayer, Y., Sloman, S. A., Lagnado, D. A., & Waldmann, M. R. (2007). Causal reasoning through intervention. In A. Gopnik & L. Schulz (Eds. ), Causal learning: Psychology, philosophy, and computation (pp. 86-100). Oxford: Oxford University Press. Hattori, M., & Oaksford, M. (2007). Adaptive non-interventional heuristics for covariation detection in causal induction: Model comparison and rational analysis. Cognitive Science, 31, 765-814. Hume, D. (1777), Enquiries concerning human understanding. Oxford: Clarendon Press. Jenkins, H. M., & Ward, W. C. (1965). Judgment of contingency between responses and outcomes. Psychological Monographs: General and Applied, 79 (1), 1-17. Kelley, H. H. (1972). Causal schemata and the attribution process. In E. E. Jones, D. E. Kanouse, H. H. Kelley, R. S. Nisbett, S. Valins, & B. Weiner (Eds. ), Attribution: Perceiving the causes of behavior (pp. 151-174). Morristown, NJ: General Learning Press. Kuhn, D., & Dean D., Jr. (2004). Connecting scientific reasoning and causal inference. Journal of Cognition and Development, 5 (2), 261-288. Lagnado, D. A. & Sloman, S. A. (2004). The advantage of timely intervention. Journal of Experimental Psychology: Learning, Memory and Cognition, 30 (4), 856-876. Lagnado, D.A., Sloman, S.A. (2006). Time as a guide to cause. Journal of Experimental Psychology: Learning, Memory and Cognition 32 (3), 451-460. Lagnado, D. A., Waldmann, M. R., Hagmayer, Y. & Sloman, S. A. (2007). Beyond Covariation: Cues to Causal Structure. In A. Gopnik & L. Schulz (Eds. ), Causal learning: Psychology, philosophy, and computation (pp. 86-100). Oxford: Oxford University Press. López, F. J., Shanks, D. R., Almaraz, J., & Fernández, P. (1998). Effects of trial order on contingency judgments: A comparison of associative and probabilistic contrast accounts. Journal of Experimental Psychology: Learning, Memory, & Cognition, 24, 672-694. Marr, D. (1982). Vision. San Francisco: W.H. Freeman. probabilistic mind. Prospects for Bayesian Cognitive Science (pp. 453-484). Oxford: University Press. Spirtes, P., Glymour, C. & Scheines R. (1993). Causation, prediction and search. New York: Springer-Verlag. Steyvers, M., Tenenbaum, J., Wagenmakers, E .J. & Blum, B. (2003). Inferring causal networks from observations and interventions. Cognitive Science, 27, 453-489. Waldmann, M. R., Cheng, P. W., Hagmayer, Y., & Blaisdell, A. P. (2008). Causal learning in rats and humans: a minimal rational model. In N. Chater, & M. Oaksford (Eds. ), The probabilistic mind. Prospects for Bayesian Cognitive Science (pp. 453484). Oxford: University Press. White, P. A. (2006). How well do people infer causal structure from co-occurrence information? European Journal of Cognitive Psychology, 18, 454-480. Woodward, J. (2003). Making Things Happen: A Theory of Causal Explanation. Oxford: Oxford University Press. Yin, H., Barnet, R. C. & Miller, R. R. (1994). Second-order conditioning and Pavlovian conditioned inhibition: Operational similarities and differences, Journal of Experimental Psychology: Animal Behavior Processes, 20, 419-428. Note. ‘R’ stands for root, ‘I’ for intermediate, and ‘T’ for terminal. In the first condition, the rare but diagnostic intervention in which the root and intermediate variables are active in the absence of the terminal variable occurs early. In the second condition it occurs late. The diagnostic intervention is italicized. systematic inference of extraneous causal links; (c) influence of data ... The data suggest that local computations ...... Guthrie, E. R., & Horton, G. P. (1946). Departments of Psychology d and Computer Science e ... University of British Columbia. Vancouver, BC V6T 1Z4. Canada .... investigate mind wandering under various online reading conditions (described .... Computing Cognitive Coupling. Whoops! There was a problem loading more pages. Retrying... Southlands Local offer1 (1).pdf. Southlands Local offer1 (1).pdf. Open. Extract. Open with. Sign In. should estimate probabilistic quantities, assuming they have access to an algorithm that is initially ...... (Abbott & Griffiths, 2011), and the dynamics of memory retrieval (Abbott et al., 2012; ..... parameter is the standard uniform distribution:. (9) "Business" means trade or commercial activity regularly engaged in as a means ... Section 139 of this Code, whose activity consists essentially of the sale of kinds of .... Local Government Code - Book 2 Local Taxation and Fiscal Matters.pdf. Local wood, materials, trading with other communities. Electrical Energy Generator or batteries. Solar panel/batteries for water/furnace. Large solar arrays, local. to sell his program in 2005. .... This is the same with news media, as network news programs are more likely to report on the ...... New York: Russell Sage. Local Government Code - Book 3 Local Government Units.pdf. Local Government Code - Book 3 Local Government Units.pdf. Open. Extract. Open with. Sign In.